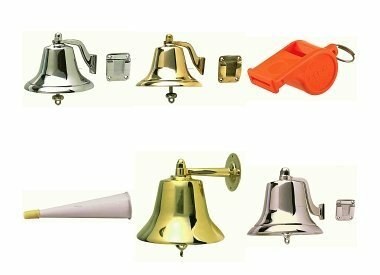 Our Kahlenberg ship horns and Perko Bells for the high seas, inland waterways and leisure market are all built to extremely high standards of quality. They offer owners and captains a highly reliable means of complying with IMO/USCG sound signaling requirements and an aesthetically pleasing item of deck hardware with a distinctive sound that is the envy of everyone that hears it. 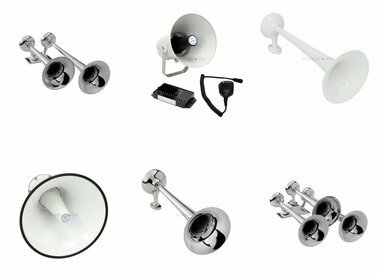 With a worldwide reputation for durability, distinctive sound, and exceptional finish, Kahlenberg Air Horns are found on the majority of the world’s megayachts. All Kahlenberg sound signals are tested in an in-house anechoic chamber and certified to ensure conformance to the standards established by the International Maritime Organization (IMO) and the Collision Regulations (COLREG).